Its great, but there is no way to quit a game when its running, or exit the app. The home button does nothing. Anyone have any ideas? OK, I found my answer for those who have the same problem: Controls: Home + L = FCE Menu Home + R = Quit Emulator All other Keys are the same as the GP2X and WIZ Version. I found this quite by accident, as it seems to be in an odd place... but I don't care!!! I love it! Every game save one that I have tried on it runs flawlessly. This is beautiful! Finally I can play my favorite games, and it even has PAL support, so I can play Elite. Awesome. Plays every game I've tried so far. Really awesome! Thanks! I do believe this is in the wrong category. Did not expect to find this here, but glad I did! Works great! Plays all my favorites without any problems. Thanks! thanks rikku! all is working well so far! I Agree, awesome emulator but definitely in the wrong category. Thanks for all your work!!! Very very good emulator indeed! I love how it can handle showing all my 3.6gb+ roms without cutting the filenames off. Very well done Rikku2000! Does this emulator support Famicom(i'm guessing it doesn't)? AceCaanoo: Yes, I'm also having that problem, that's why I asked about the Famicom compatibility. Me again. Anyone know where i can get hold of any Nintendo Vs. System games? 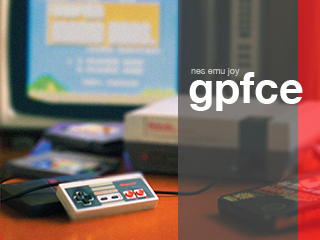 @Gab75 It`s defo not an emulator problem as I can manage the jump on the NES rom and the FDS rom. What type of rom are you stuck on? @Gab75 maybe you have an download from the gp32x forum from the beta. maybe you need to download the version again, please try again for me mario works fine. @Rikku2000 There`s a beta rom of Super Mario Bros? Plaese show me as I have to have this rom for my collection! @ Rikku2000: Ok, I will try to download another version of Super Mario Bros ROM, thanks! :) @ AceCaanoo: the ROM that I used it's "Super Mario Bros (PRG0) (JU).nes"
Anyone played Super Mario Bros 3 with the "Lost Levels" and the "Bonus Game" with differant sprites added in? Its not a hack as such but a patch that lets you play the hidden level that the programmers left in? Awesome emulator. Best thing is I can play NTRQ on this. Thanks homeboy!! TO Rikku2000 : It's strange to see Castlevania III perfectly emulated (one of the most difficult to emulate) and to see Mike Tyson Punch Out frameskipped to 1. I can't underdtand why Mike is slow, even if the cannoo overclocked at 720 MHZ. Please Help. Thanks for porting this. Great to see it on the new platform. Keep up the good work, it'll get up to par with the original versions in no time. Whenever I try to run Solar Jetman, though, it changes the CPU clock speed for whatever reason. Oh, and, I don't know if it's related to the Caanoo itself or what, but pressing two directions at once is really difficult with the stick . . . I still can't get Super Mario Bros 1 to work correctly. It opens at world 0-1 instead of 1-1. It isn't the Rom... I tried the same rom on another emulator and it works fine. Is there a fix for this? --cultstorm-- Try using the rom for Super Mario Brothers + Duck Hunt. That works for me. Hey guys, I was wondering how to turn off the rapid fire function on button press. Its great for some games and terrible for others, and I'd like to toggle it on/off. Any directions appreciated!